Everyone wants to enjoy their backyard or outdoor spaces. Whether you have kids or just want a place to relax after a hard day’s work, outdoor living spaces can add so much to your life. 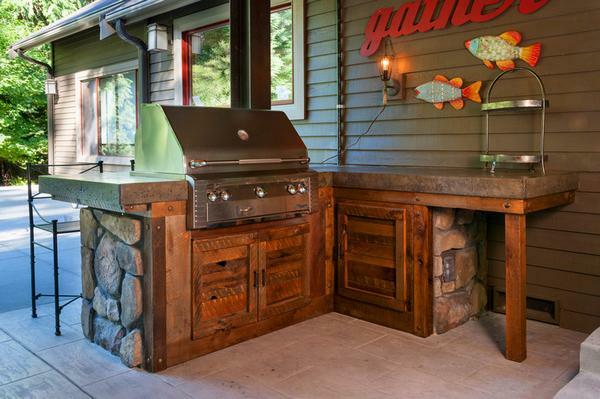 That’s why Crafthammer Designs offers custom outdoor kitchen designs for Bellevue, WA property owners. We specialize in outdoor kitchen islands, outdoor grill station, and even concrete countertops. We make sure that the custom outdoor kitchen space we design is easy to keep clean, highly functional and, of course, beautiful. 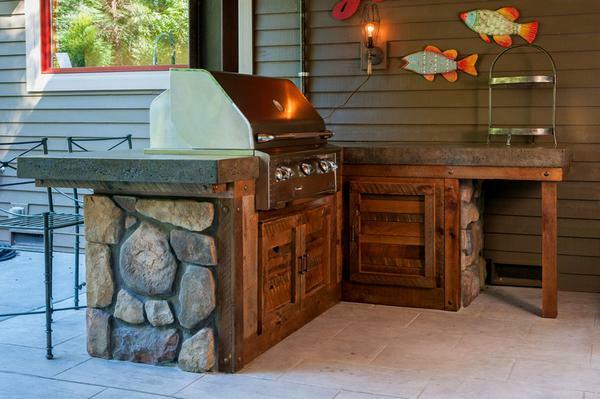 Bellevue homeowners should call us today to talk about their custom outdoor kitchen ideas. What if you could entertain your kids, family, and friends outside - without worrying about tons of people tramping in and out of your house or making a mess? Customized outdoor kitchen designs can allow you to do just that. You will be able to enjoy more time outside, cook fun food, and keep everyone together. Even if your yard is small, we have outdoor kitchen designs for small spaces. Call us today and we will show you our outdoor kitchen pictures to see the kind of work we’ve done. We promise you’ll get great returns on your investment - and pay affordable outdoor kitchen designs pricing. 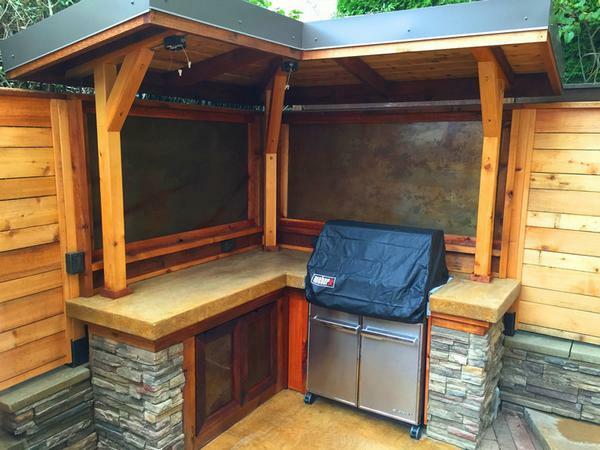 Do you want a simple outdoor kitchen that lets you grill, entertain, and relax? Maybe you’re looking for rustic outdoor kitchen ideas for your Bellevue backyard, or you prefer high-end, modern appliances for your outside kitchens. What are you waiting for? Outside kitchens can add so much to your property, so let’s get started! If you want a custom outdoor kitchen for your Bellevue home or property, call Crafthammer Designs. We will create outdoor kitchen design plans that fit your needs and style. Dial (425) 229-3506.